Sometimes the words come out of my mouth, “I’m sorry honey, we just can’t afford that.” Those are times when it’s the bottom-line reality of the budget. But more often I try to say, “That’s not how we choose to spend our money.” Because the truth is, no matter the size of a family’s budget, how we spend money has a lot to do with choice. I want my children to learn early on that money is a finite resource, it has limits, and where we choose to spend in one area impacts others. If you’ve ever had two kids and one cookie you know children understand the concept of a limited resource. There are lots of ways to cut a cookie and my children can argue for hours (I wish I was exaggerating) about how best to do that. So the question is not whether they can grasp the concept, but rather have they been introduced to it? Lest you think we are rollin’ in it, based on our family income and size we fall smack dab in the middle of America’s middle class. In this regard we are the definition of average. In fact, lots of people we know would say we live rather simply. (My dented minivan and I just celebrated our ten-year anniversary.) But I also know for every family that has “more” than us (materially speaking here), there are exponentially more around the world that have considerably less. It’s all in perspective. And that’s what I want to offer my children when it comes to money: a little perspective. At first glance, the majority of our family budget is spent on “needs” rather than “wants”. Line items like housing, groceries and health insurance are difficult to go without and so we spend money on them. But even within these “needs” I exercise choice. Though we need housing, where we live is a choice. Though we need to eat, what I make for dinner is also a choice. Where I send my kids to preschool. Or that they go to preschool at all. Yes, a choice. So, though many people would say we “can’t afford” fancy vacations or summer camps, that’s not how I choose to frame it for my children. Because they see we do choose to spend our limited disposable income on certain things and not others. Naturally the questions begin to come up, if we can afford that, why can’t we afford this? This is a great chance to talk about limited resources; it is not too early to instill we have choices in how and where we spend. In other words, kids learn we must prioritize. 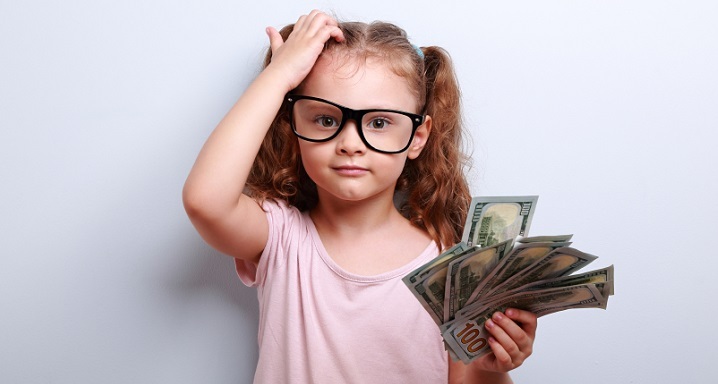 When I consider how I want to prepare my children to view and manage money as earning and spending adults, the underlying principle is that we have some control over how we use what we’ve been given. I want to send these kids into the world understanding that regardless of the size of a budget, they can exercise some choice and use money to enhance their priorities.